This member has purchased a 2015 Subaru Forester. Manual transmission (though will accept it's not always possible to find circa 2015). Cargo space of at least 60 cu. ft. when back seats are folded down. I've been driving a 5-speed 1990 Subaru Legacy L wagon for 25 years and loved nearly everything about it. To replace it I need a dependable, practical, comfortable, safe wagon-type car. I don't need high-tech electronics on the driver's console; I'd most likely ignore all but the basics (radio, CD player). No snow driving or off-road, but I have gotten really fond of AWD. I'd probably lean towards a 2015 Subaru Outback if they still came with manual transmission. 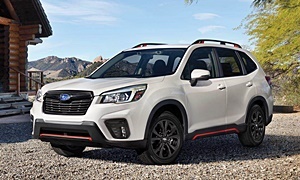 So based on the few manual transmission makes/models left in 2015, would a Subaru Forester or a Mazda CX-5 be more dependable? Is the Honda CR-V so good at staying out of the shop that I should just let go of my stick shift obsession and buy one of those? Any other suggestions? We're currently driving our 2nd & 3rd Subaru's. Crashed an '11 Legacy, it perhaps saved my life. Then a '14 Outback & '15 WRX. All 3 have been excellent in all respects. If I required a stick, I wouldn't hesitate to go with the Forester. Starts at only $23k including delivery. Thanks very much, 83gmc1500. 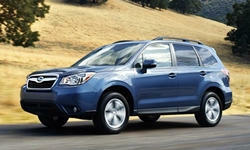 Hubby and I are going to test drive a Forester tomorrow, so your response plus motortrend.com review is quite helpful. 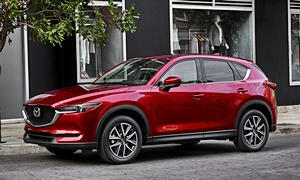 Either the Forester or the CX-5 should serve you very well. My only concern with the Mazda is that they don't offer the larger engine with a manual, but this might not be an issue for you. Either one should be very reliable. 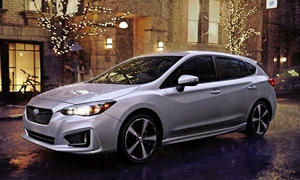 If you don't need something as large as the Forester, then Subaru also offers the Impreza as a hatchback. We bought a new 2015 2.5i manual transmission Forester. It has adecently clear view all around, made just about perfect by unhooking the rear middle seat shoulder harness and laying the rear seats down (which will be its default postion, since there's just the two of us and often cargo to cart about town). We're both tall and have plenty of legroom and ceiling space, even in the rear seats (though I haven't tried to squeeze between two people in the rear middle seat yet--a feat which is barely do-able in any but the biggest of SUV's). Hubby thinks the driver's seat gets a bit hard on a longer drive, but I don't. I find the seats supportive and well-designed for a long torso and broad shoulders and hips. The interior is simple and comfortably adequate. We don't pay much attention to the higher-tech accessories, being relative dinosaurs. The ride is solid and sure, and even though the car is a bit high off the ground for my taste (I've been driving a 1990 Legacy wagon for 25 years), it still grips the road so I'm not white-knuckling when Hubby takes a corner fast (just like the old Legacy!). Shifting gears feels close to effortless, even for this left-handed driver.